Very steady pace and good personal correction. Instructor is descriptive and explains poses well. Plenty of tools to assist participants in achieving poses/stretches. Good day to lose the weight gained over CNY! Loved the class. Good instructor. Very good class. Small and the instructor was very warm and kind to a newbie. Seems like you can park right outside even though it says reserved, cos the workers have gone back. Better than paying rm3.50 to park downstairs. Carol was very detailed on all the asanas and the anatomy parts involved. Loved it and definitely going back! The instructor is very patient and attentive. Suitable for beginners and those who want to strengthen their foundation. Parking is fairly easy - just park right in front their studio. Zerina's class focused on the back and alignment. Very good when you sit in the office for long hours. Czarina is back and loving her class. 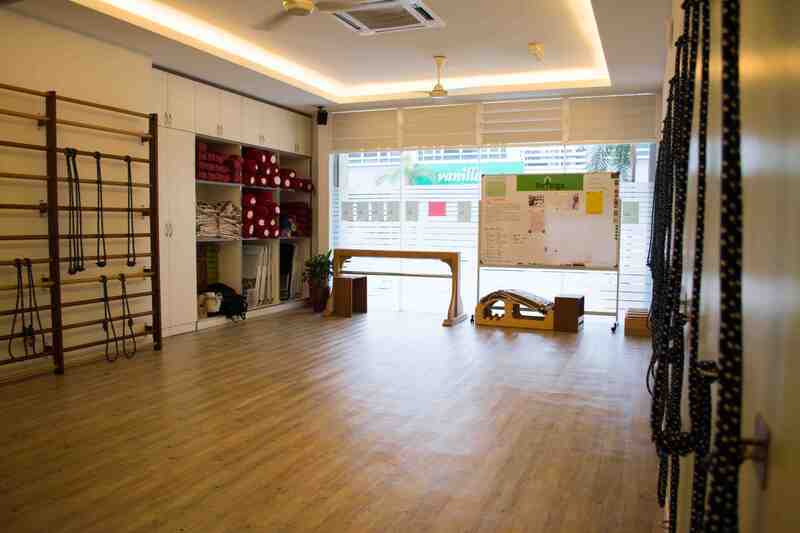 Extremely well equipped yoga centre and knowledgeable teacher. I had the greatest time! Wednesday yoga. Iyengar yoga practice. Great details explanation before each posture, attentive and knowledgeable instructor. Good workout on the tighths and hips. Carol made us use lots of ropes. Good learning experience! There were 10 of us and instructor went to each one to correct us! Good!! Carol conducted a challenging class. I survived!! Very challenging class. Carol worked our arms, wrists and hips. Zerina's class met expectations as always. Perfect studio temperature. Zerina's classes are always well taught. Corrects postures. 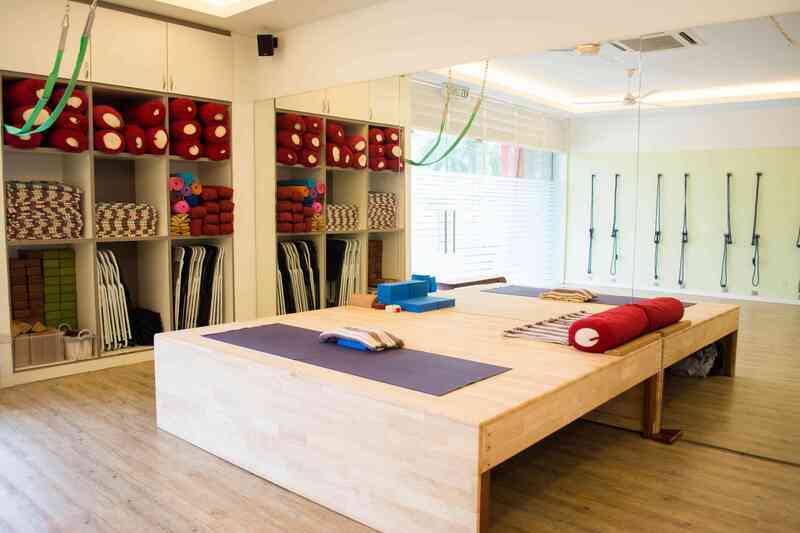 One of the best yoga places to go. Every class you learn something different. Challenging and encouraging at the same time. Carol's an amazing instructor. She managed to make me do the things I never thought i could do! Although the session had three students who couldn't take simple instructions (which was kinda annoying after awhile), Carol still managed to give full attention to all of us. Great for yogis who'd like to find out how to get deeper stretches! First class with Carol. Love it! zarina is a really patient and detailed instructor and so glad she didn't cancel on me, even though I was the only one as her regular students had canceled out for the class. the studio was really fully equipped with loads of props as well. first time for me in such a studio. Carol is an extremely good teacher, who pays attention to every detail of your posture and takes the time to allow us to stretch out to the best of our ability. Really recommend this to beginners and people who wants to do yoga properly. Really really good instructor that focuses on your posture and corrects you every step of the way. The instructor is great. Explanation on every movement. Instructor focused on alignment and will adjust student one by one. Great!! Got a good stretch from Friday's early morning Iyengar class. 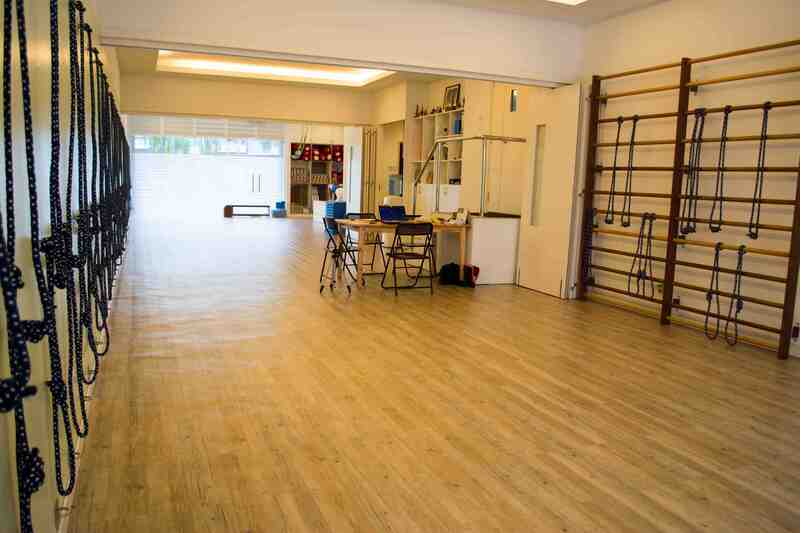 Bright, spacious studio. It's the green glass frontage opposite Vanilla cafe. Pleasant experience so far. Thank you. Always enjoy carols classes, a great start for your stressful day! Great session to wrap up the year. Belts, ropes, chairs, blankets? Just some of the accessories used in the class. Fully air conditioned studio and quiet at night. Lots of free parking as well. Oh, the teacher explaining step by step how to perform the positioning clearly. instructor guided us step by step and corrected our postures gently. instructions were clear. iyengar style yoga. great for alignment and newbies to learn the right postures. Wednesday Yoga. 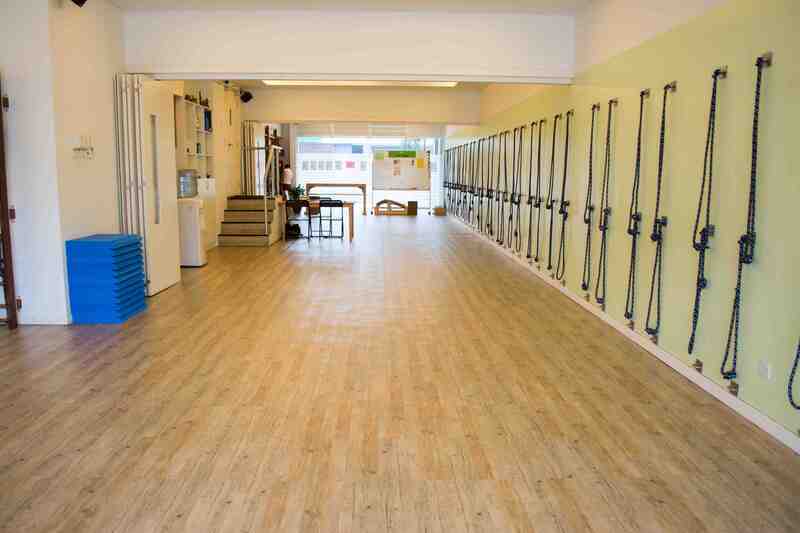 Feel good after all stretches, great Iyengar yoga instructor. Amazing! I'm looking forward to my next classes with Treyoga! a bit advanced for me but carol comes around often to guide. beautiful studio. Enjoyed the class in a fabulous studio. Jorge's class was very challenging. Learn some new yoga tips today. Jorge started the class on time challenging all of us. He was so generous with his time extending beyond the schedule. Awesome class by Carol. Makes waking up at 7am worth while . 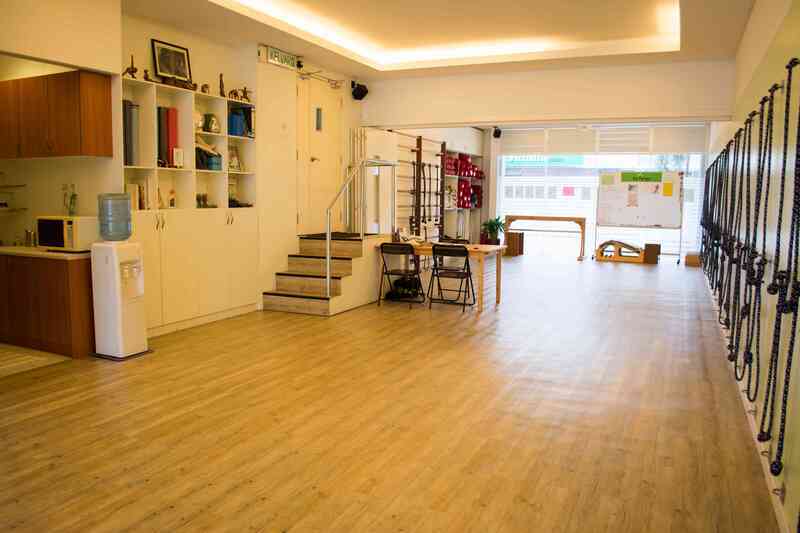 TreYoga is a fresh, spacious, fully equipped yoga studio that offers students an encouraging and safe environment to learn and practice yoga. Not just guided by the partner-teachers, but also to be inspired through knowledgeable, experienced and committed teachers of this tradition worldwide, who will grace their studio from time to time. 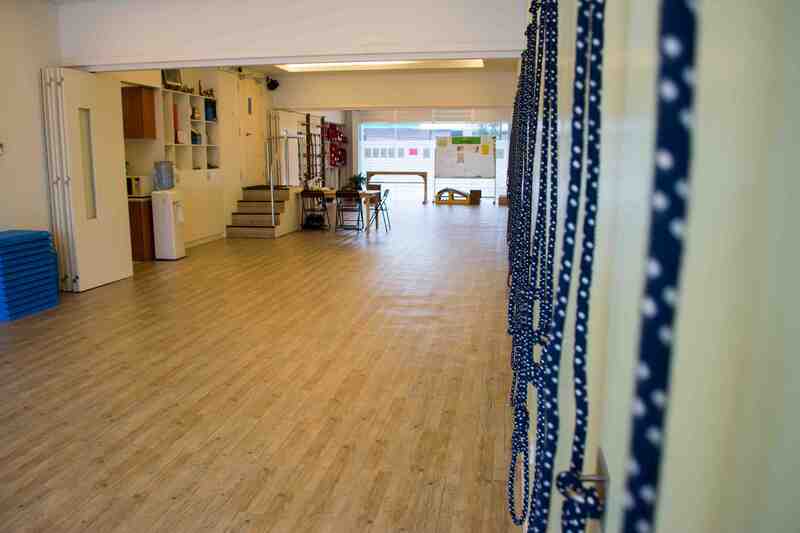 They are open for Iyengar Yoga practice.